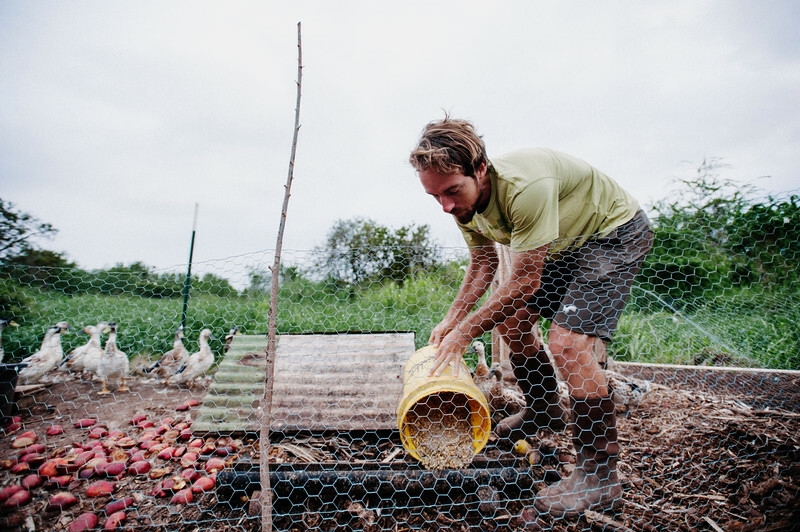 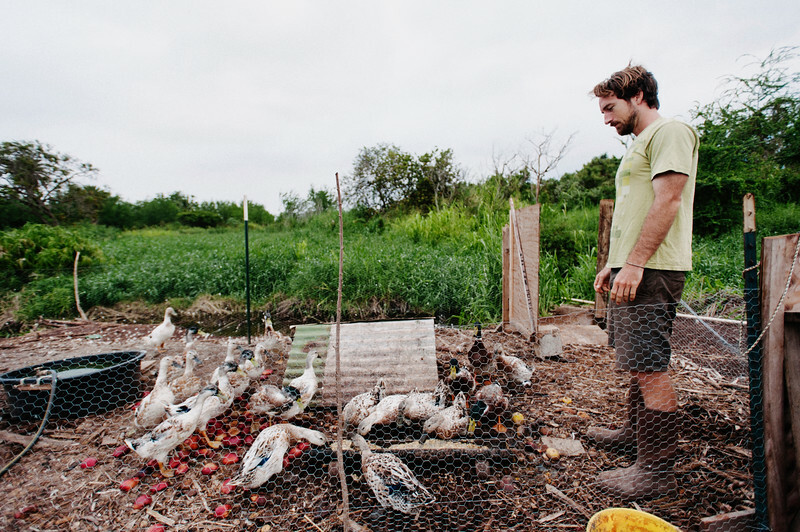 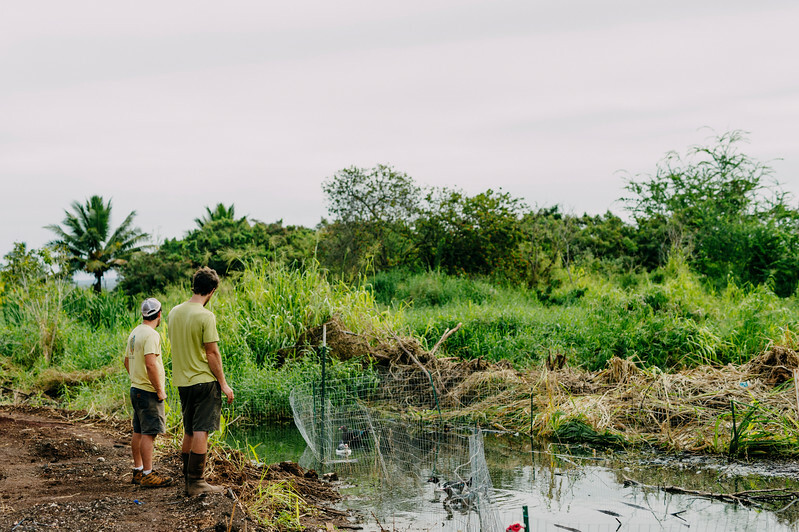 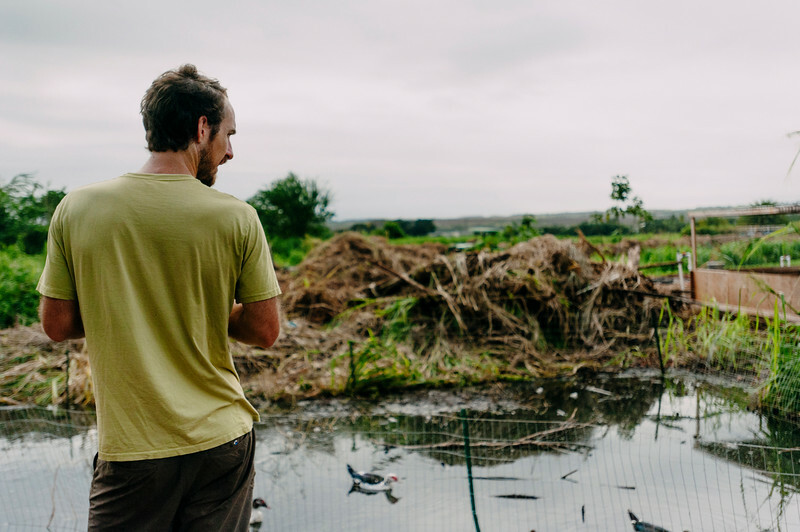 Counter Culture founding farmer Rob Barreca checks in with the ducks on his North Shore farm early morning. 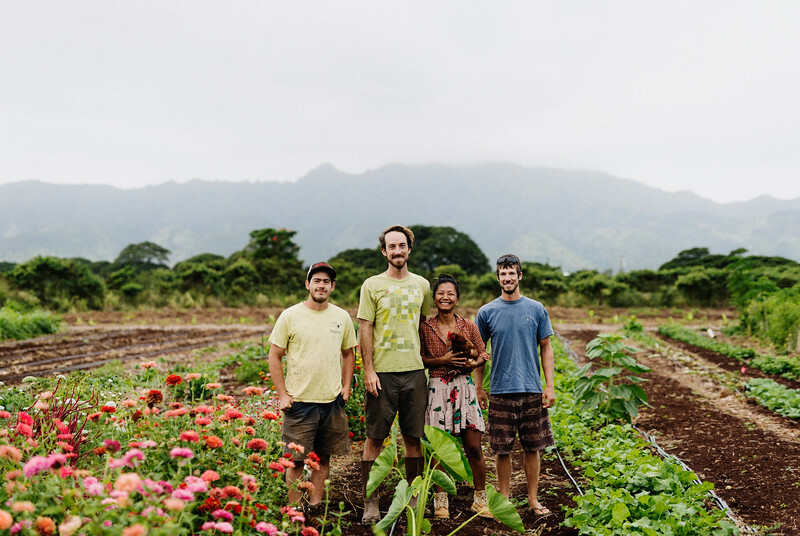 Counter Culture farmers from left to right, Gabe Sachter-Smith, Rob Barreca, Laarni Gedo, and Daniel Leas. 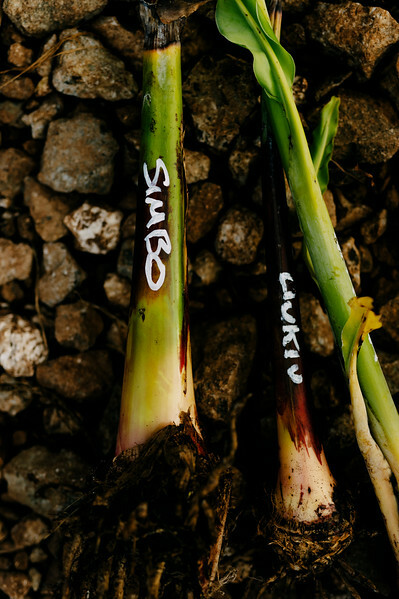 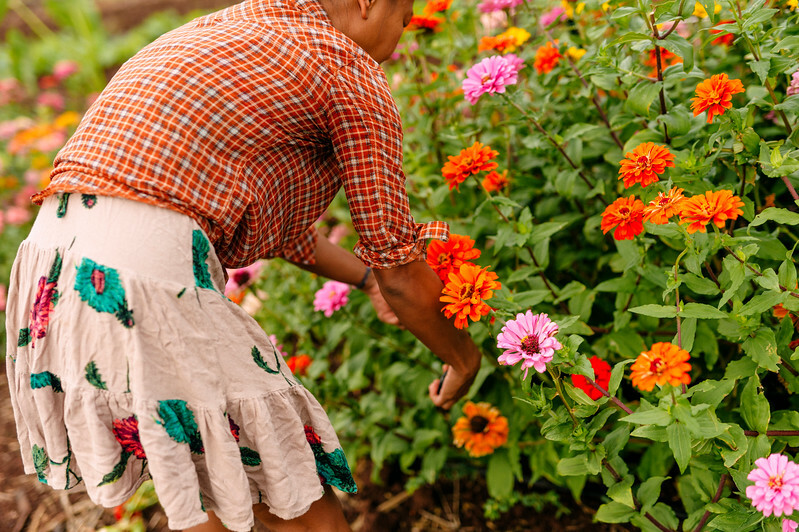 The farm is known for its fermented products but has diversified to include eggs, fresh flowers, cornmeal, and fresh vegetables and fruit. 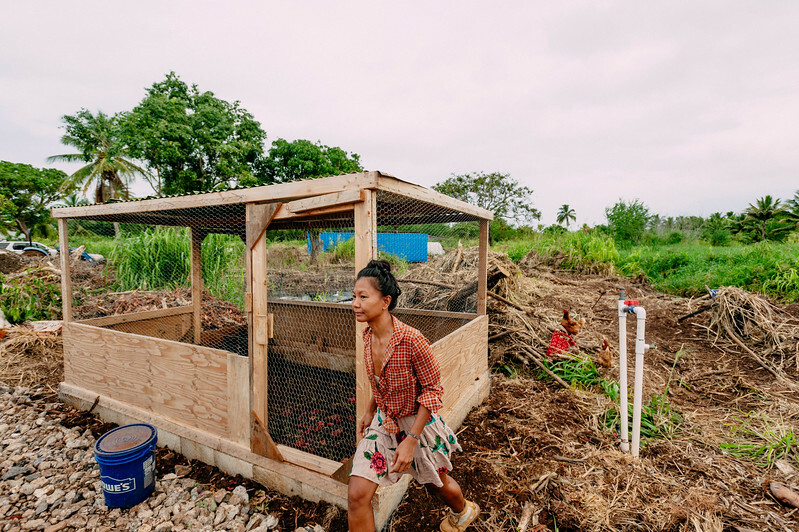 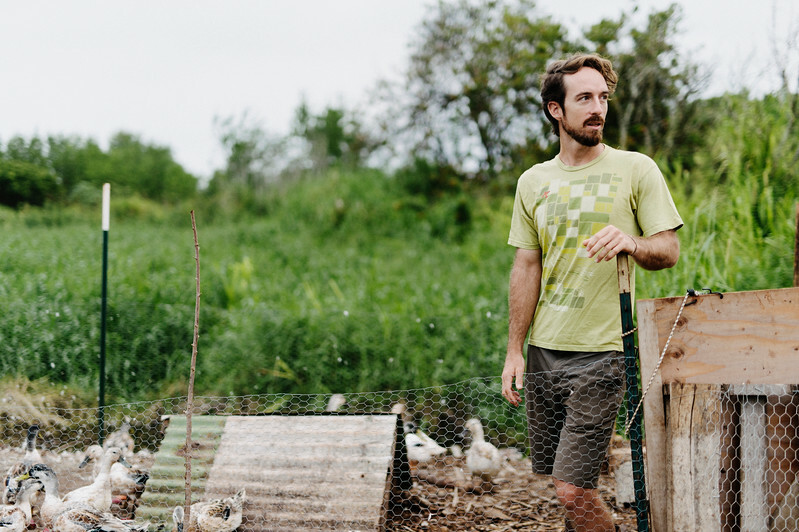 Counter Culture farmer Laarni Gedo with an egg producer early morning on the farm. 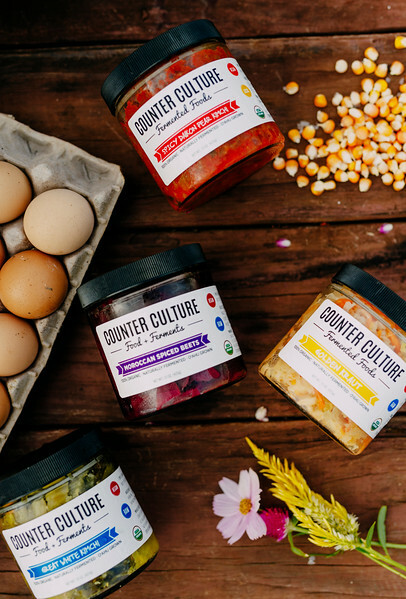 Diversity and experimentation are key components of the Counter Culture farm. 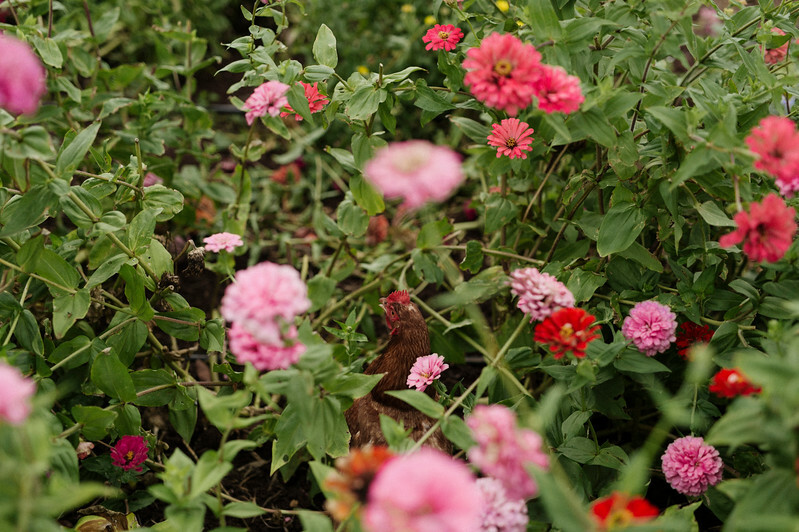 Here an egg producing chicken strolls through fresh flowers. 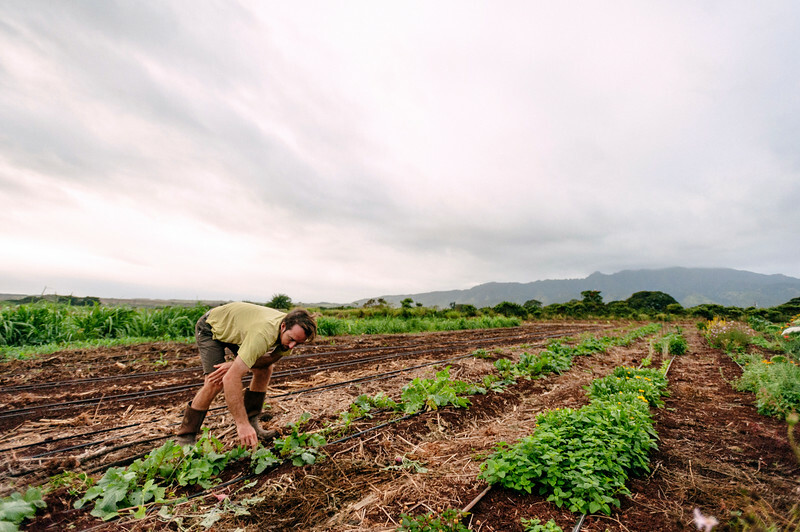 Counter Culture farmer Laarni Gedo gets to work early morning on the farm. 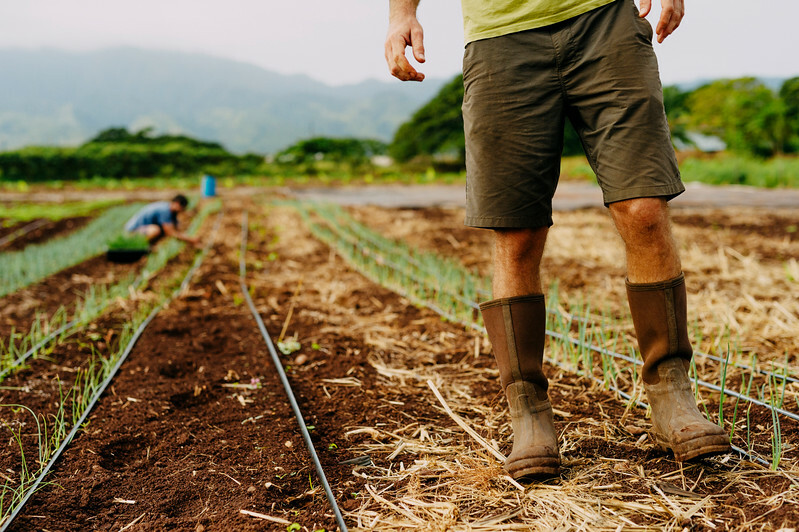 Counter Culture farmer Laarni Gedo gets to work early morning on the farm. 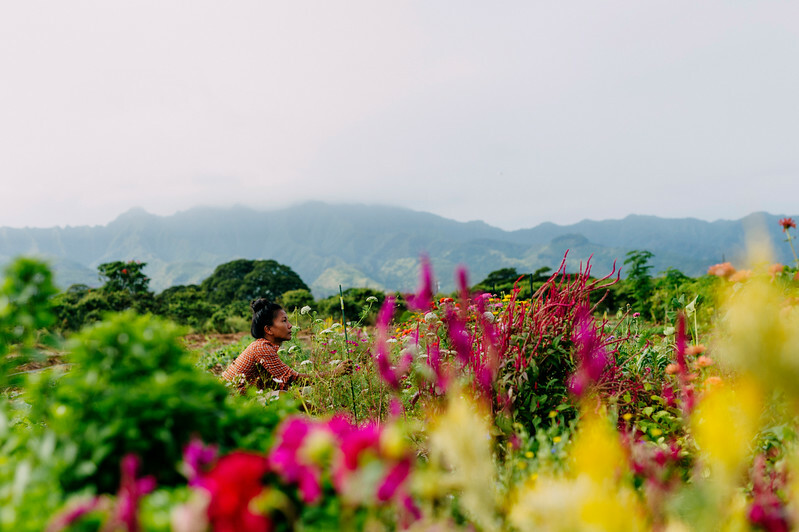 Gedo's project is "slow flowers". 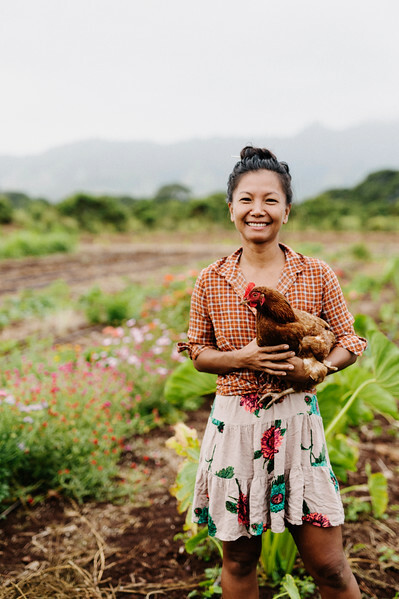 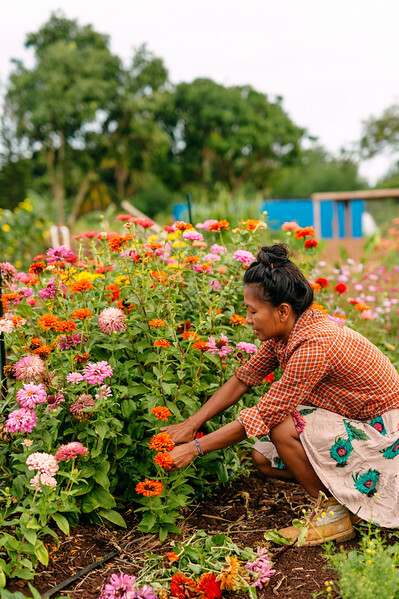 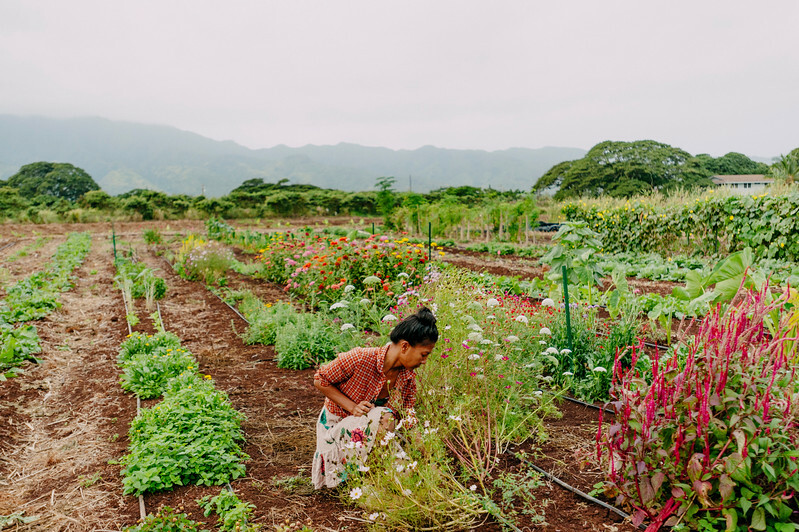 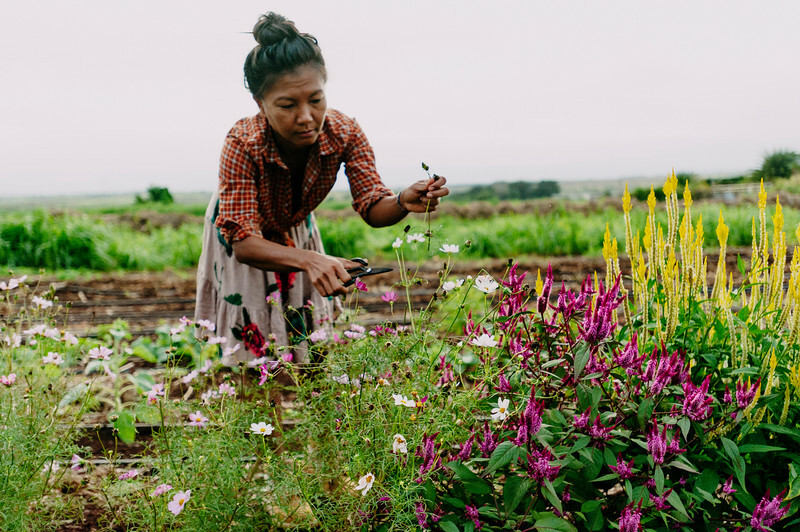 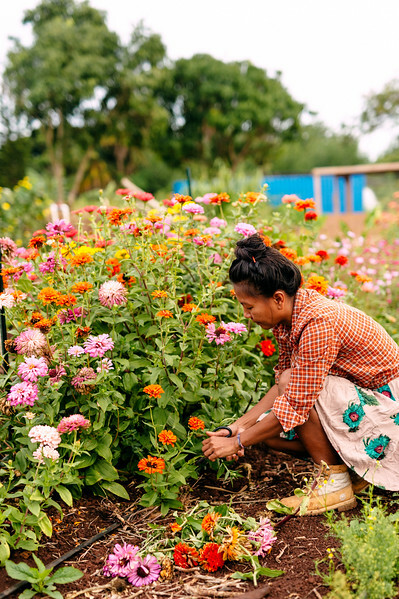 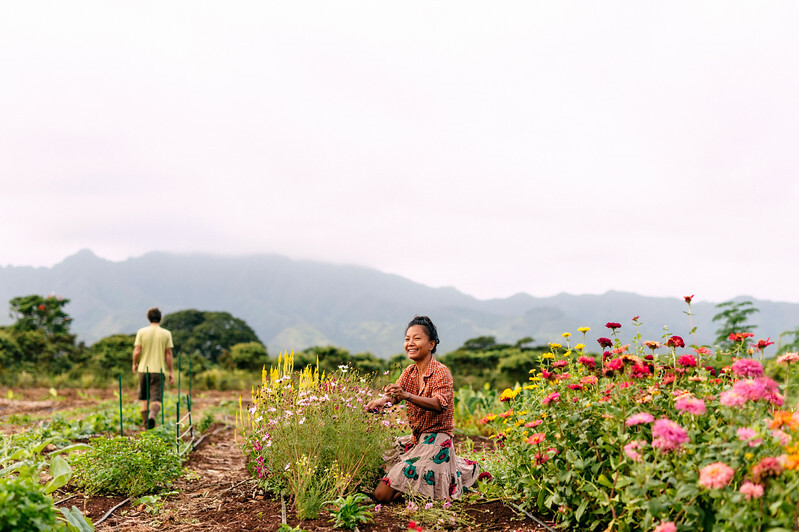 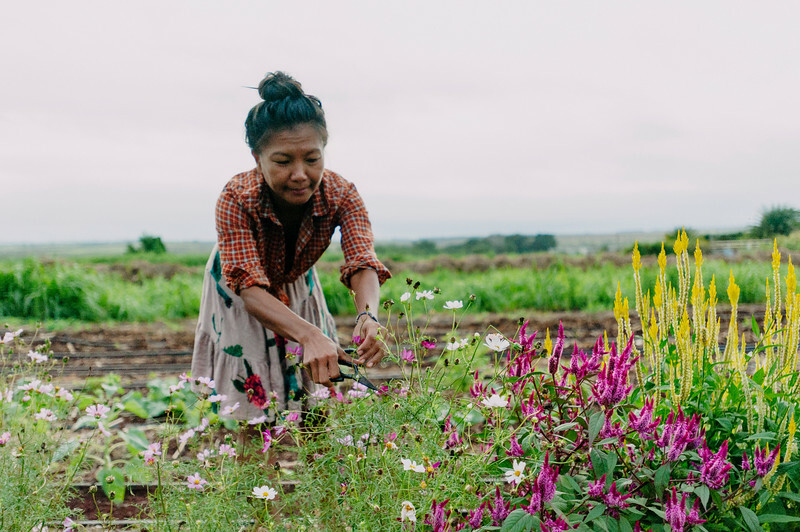 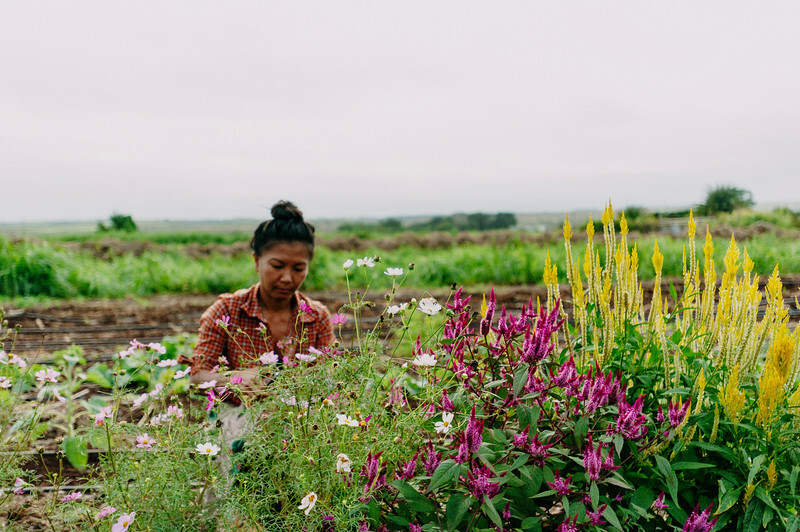 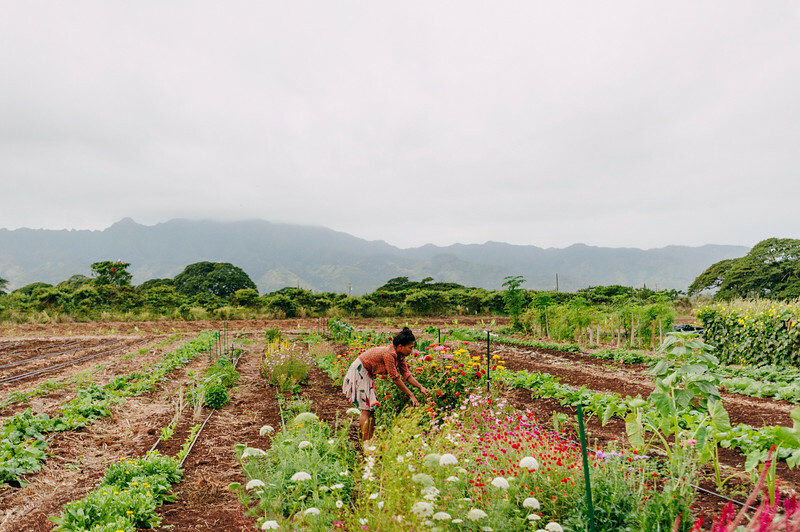 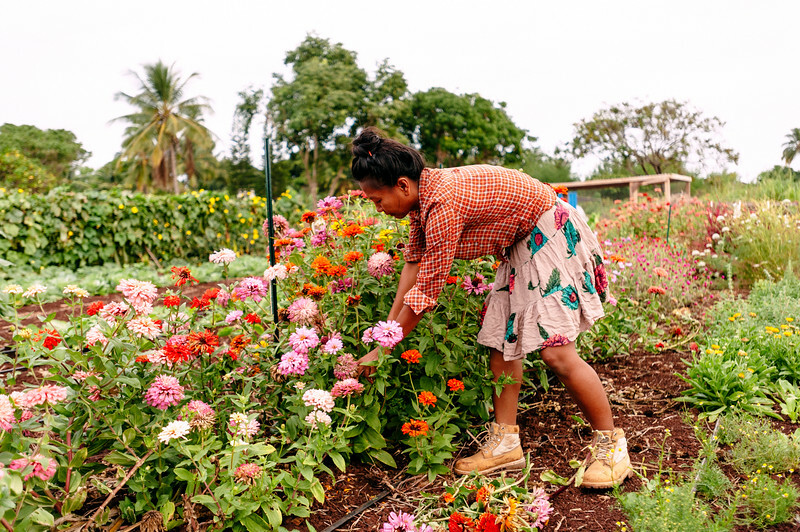 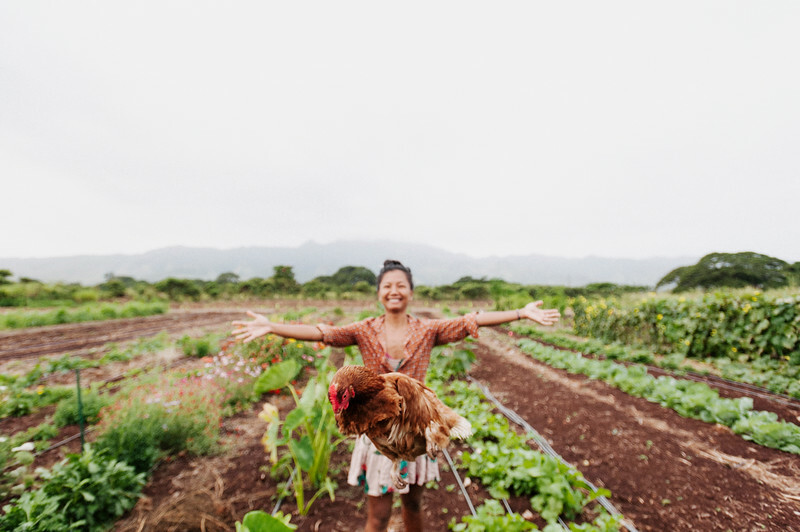 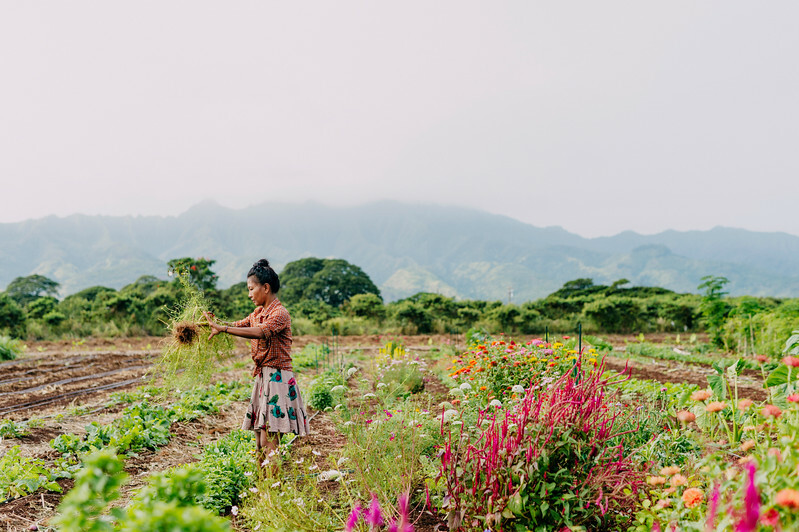 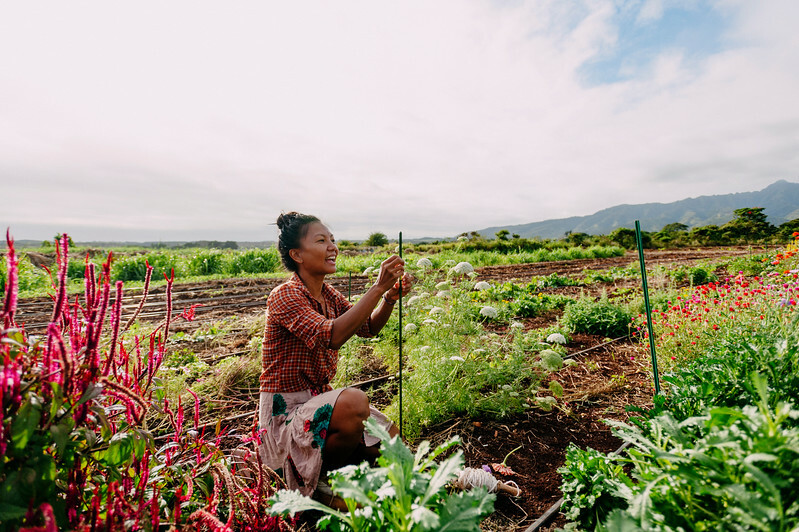 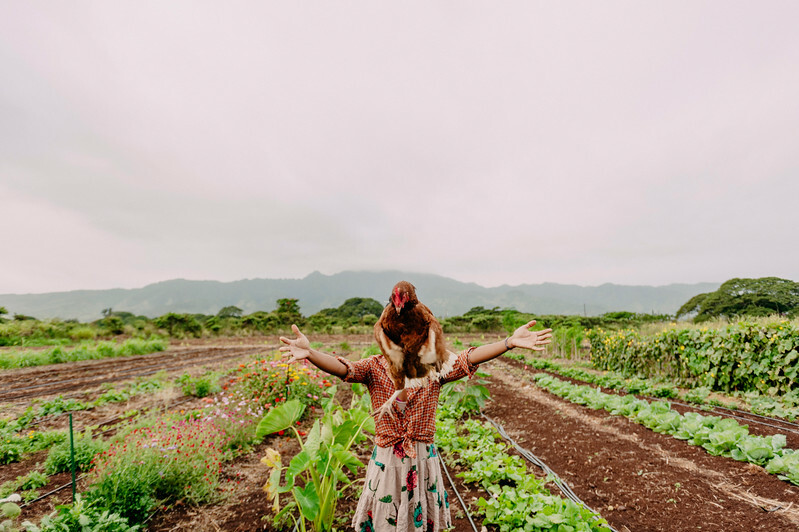 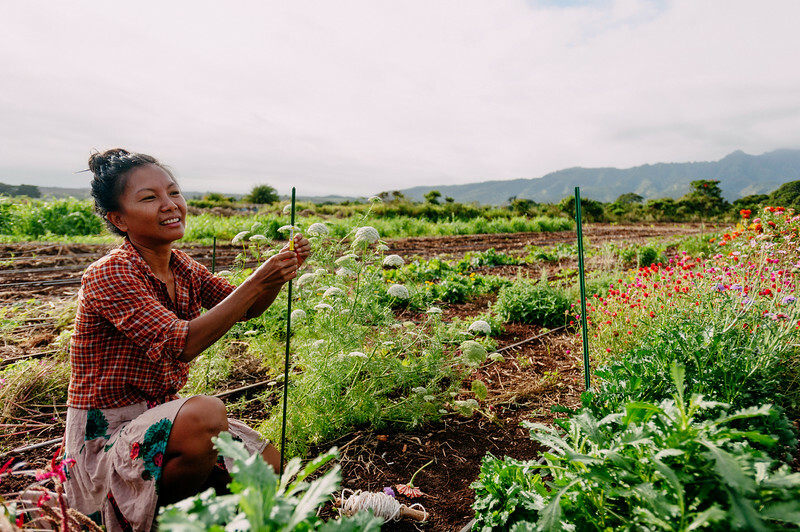 She is selling fresh flowers grown on the Oahu farm. 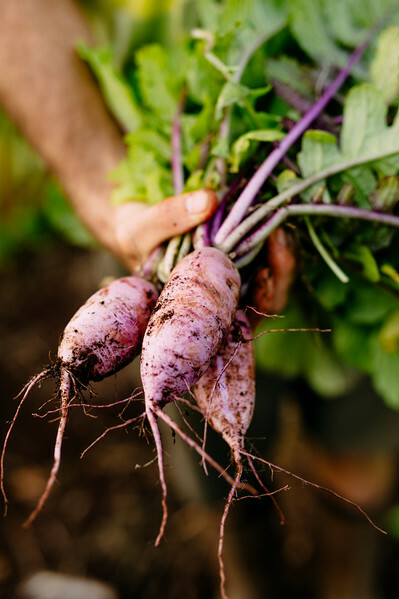 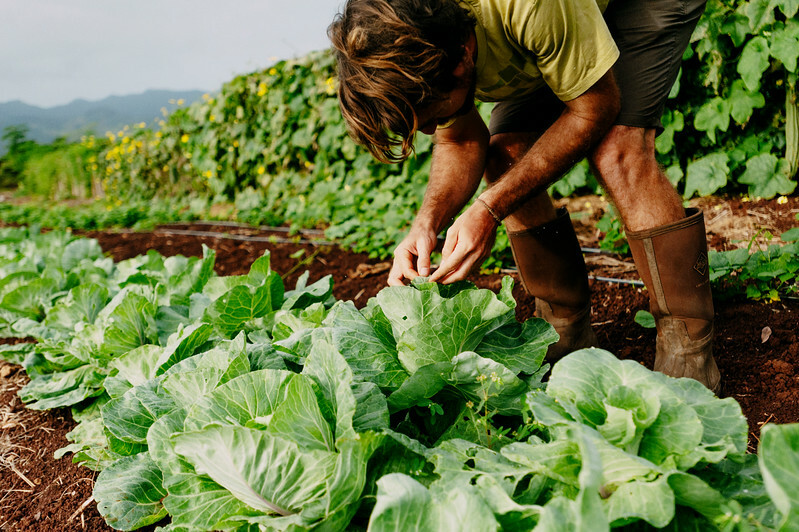 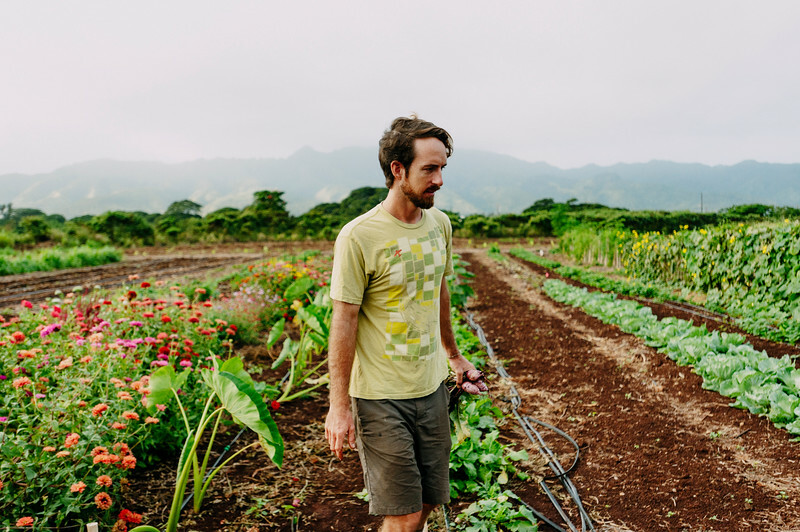 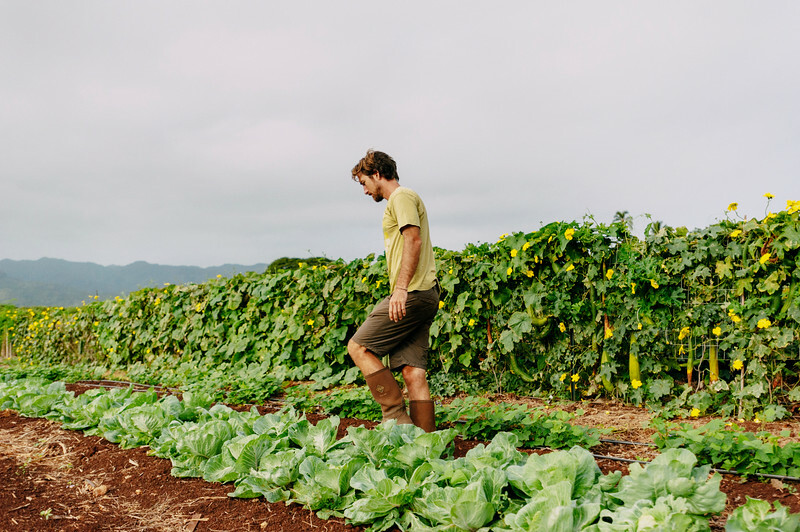 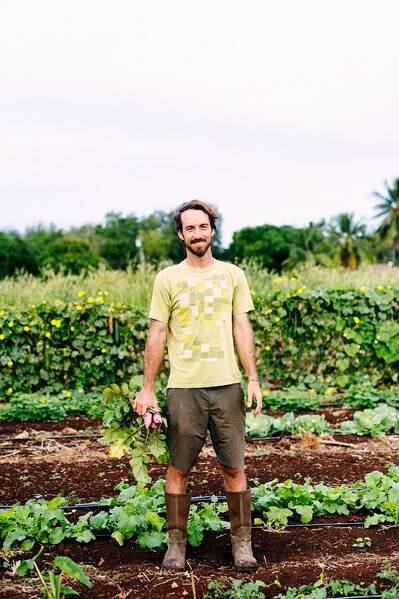 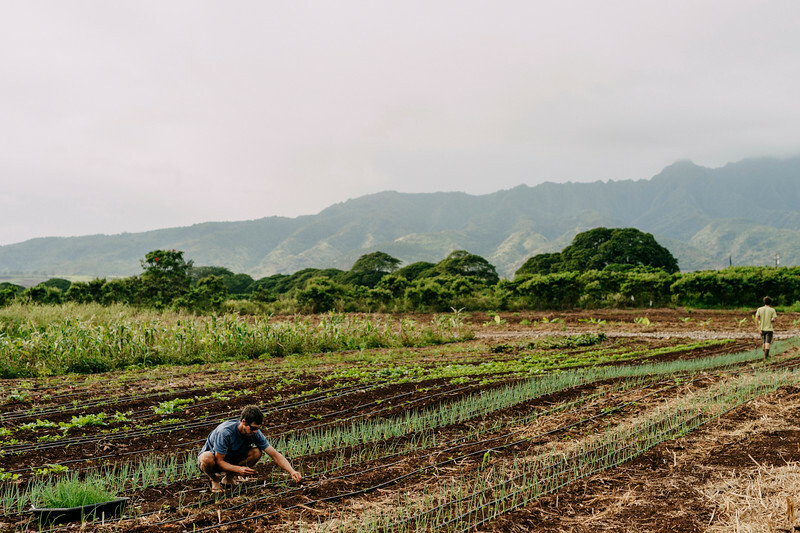 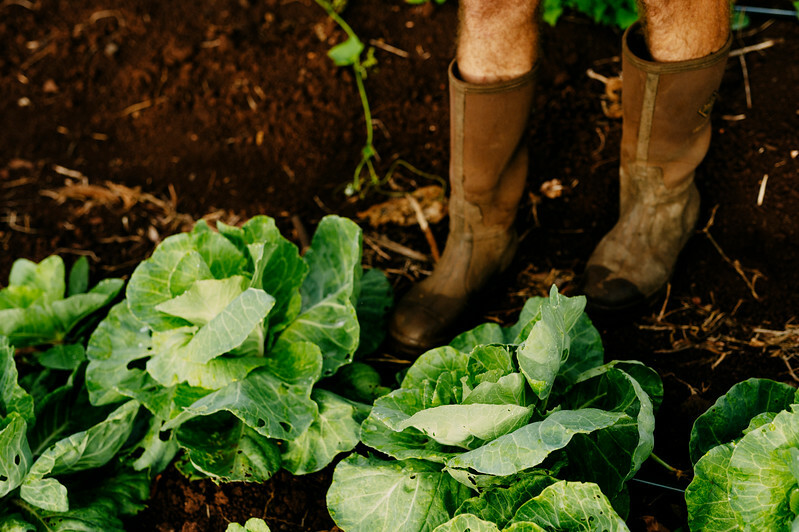 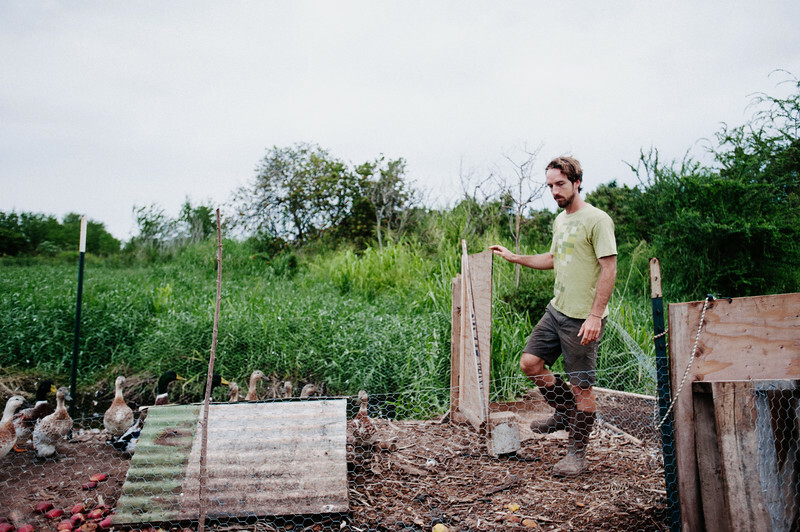 Counter Culture founder Rob Barreca tends to his vegetables on the North Shore farm. 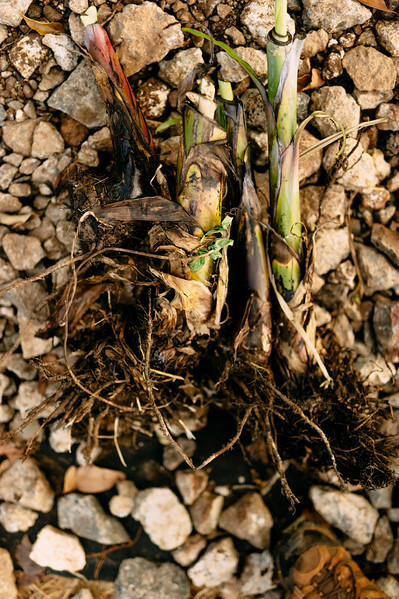 Banana trees waiting to be prepared for transplant at the Counter Culture farm. 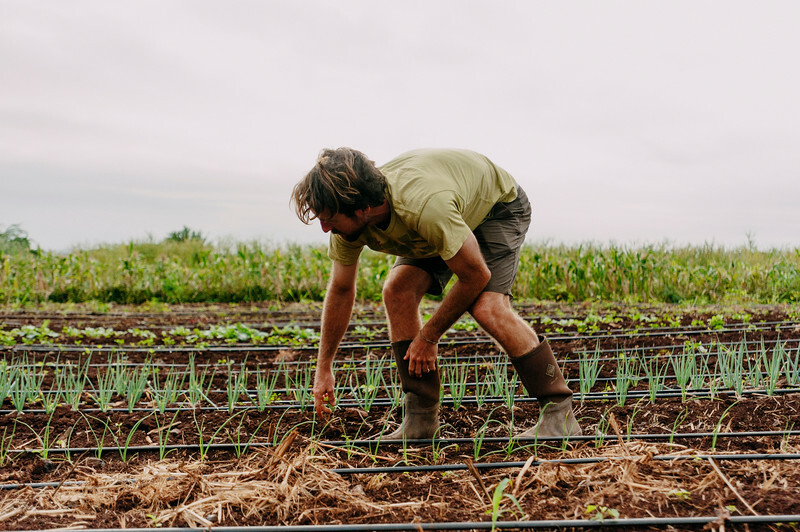 to be prepared for transplant at the Counter Culture farm. 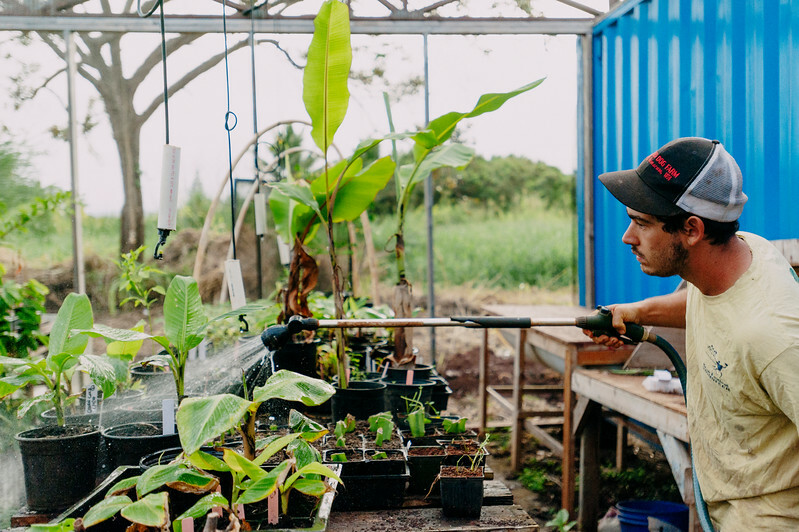 Banana trees waiting to be prepared for transplant at the Counter Culture farm. 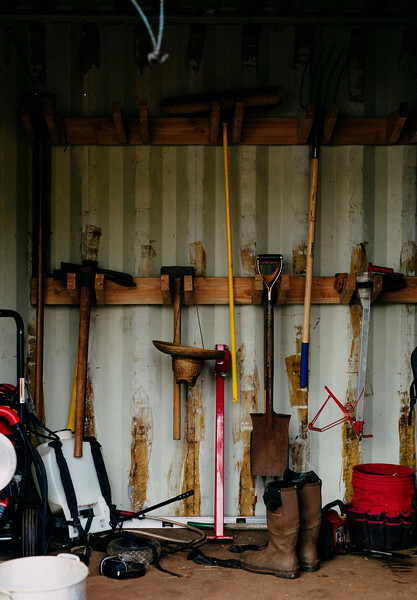 Farming tools in the shed at the Counter Culture farm. 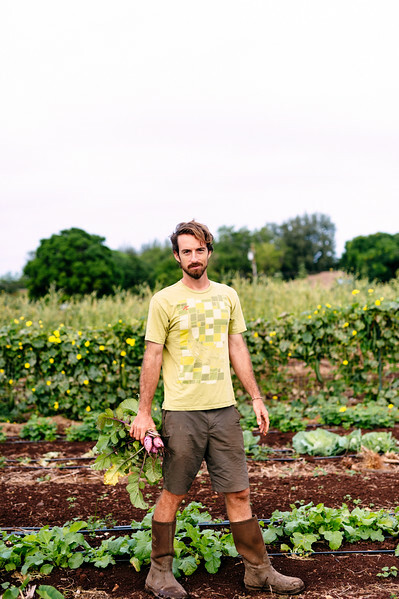 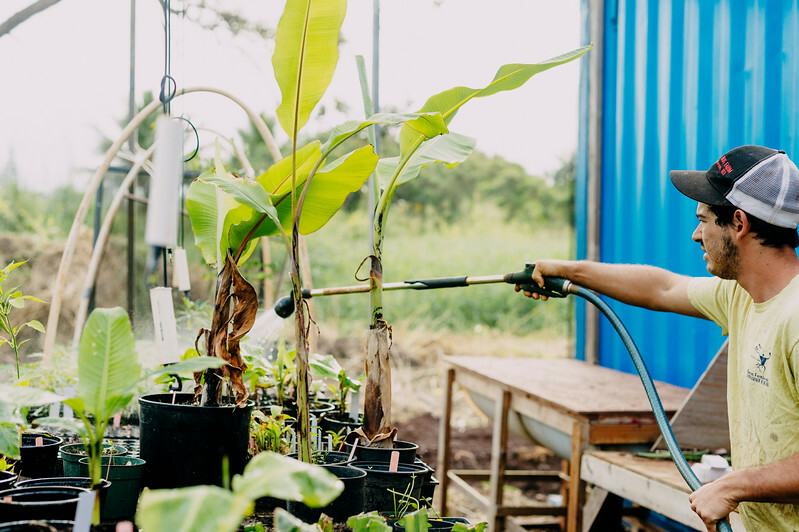 Gabe Sachter-Smith tends to his bananas and other plants in the nursery at Counter Culture. 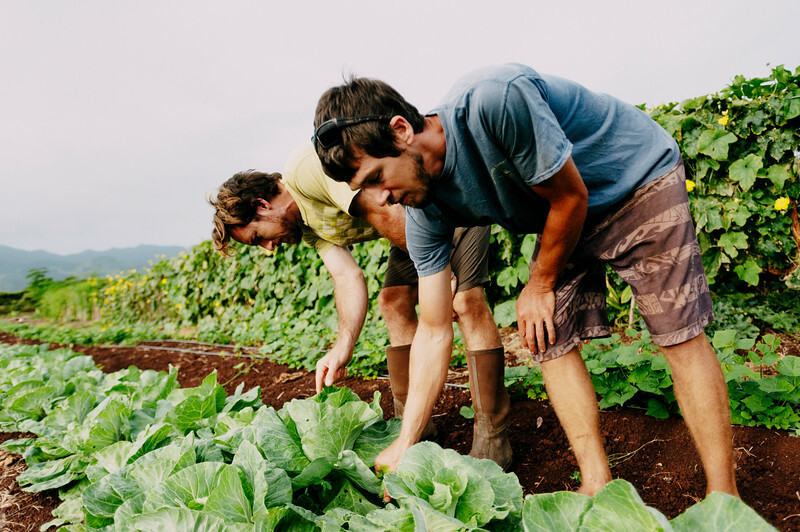 Counter Culture founder Rob Barreca, left, and Daniel Leas, right, tend to vegetables on the North Shore farm. 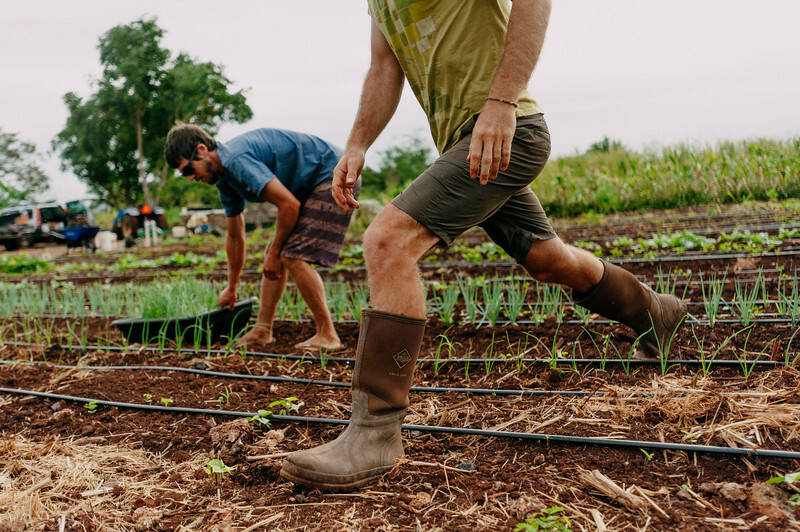 Farmers Daniel Leas, left, and Rob Barreca, right, work with onions in the fields at Counter Culture. 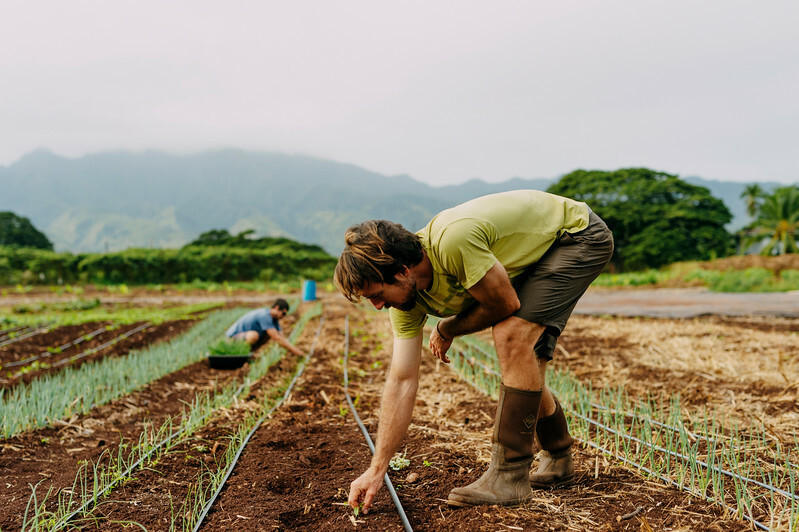 Daniel Leas, left, and Rob Barreca, right, tend to onions on the Counter Culture farm. 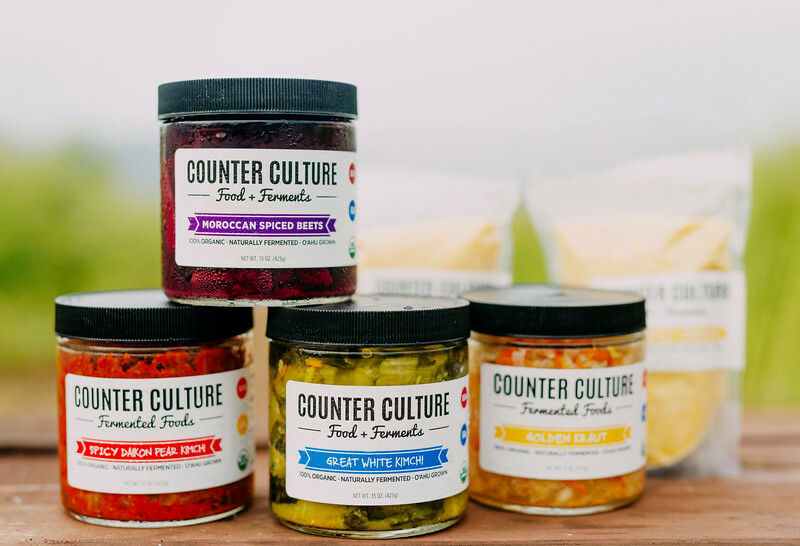 Products from the Counter Culture farm. 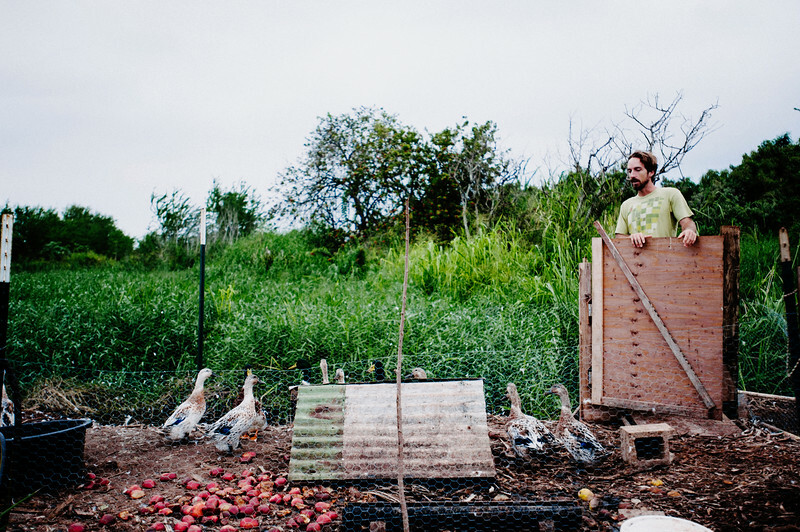 Gabe Sachter-Smith, left, and Rob Barreca, right, make plans for future farm growth near the duck pond on the Counter Culture farm.